Home Evolving House & Home	Let the Real Chaos Begin! No carpet or furniture in the guest room makes for a crazy Catherine. 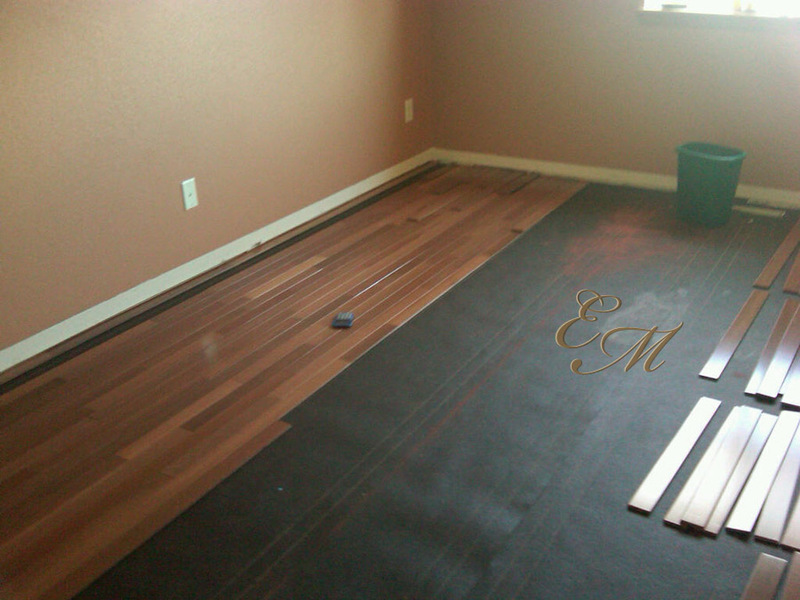 Ladies and gentlemen I’m thrilled to announce that the great flooring project of 2010 has begun. We have started on our first room of our 10 room journey and therefore I am also a little overwhelmed. I am not one of those people who must have a perfectly clean house at all times. I like to keep things neat and tidy and functional but everything put in its place? Meh. The current state of my house right now is much much more than a little untidy. Everything from our guest bedroom/office is spread throughout the house. Mostly in piles. Add that chaos to the 29 boxes of Brazilian redwood and random piles of tile and I feel like I’m in the midst of an episode of hoarders. Oh man, oh man, oh man! On a side note that paint is going to have to go. This morning our tile guy, whom I really really like called to tell us that we also needed to come and pick up our tile by next weekend. Which, by the way, was not in the plan. I still really like him. I’m just not sure I really really like him anymore. In the coming weeks, months and hopefully not years please send me sane vibes and good thoughts. I’m going to need all the help I can get. We're so close to having one room done I can almost taste it! I mentioned I’m extremely thrilled right? Because I am. 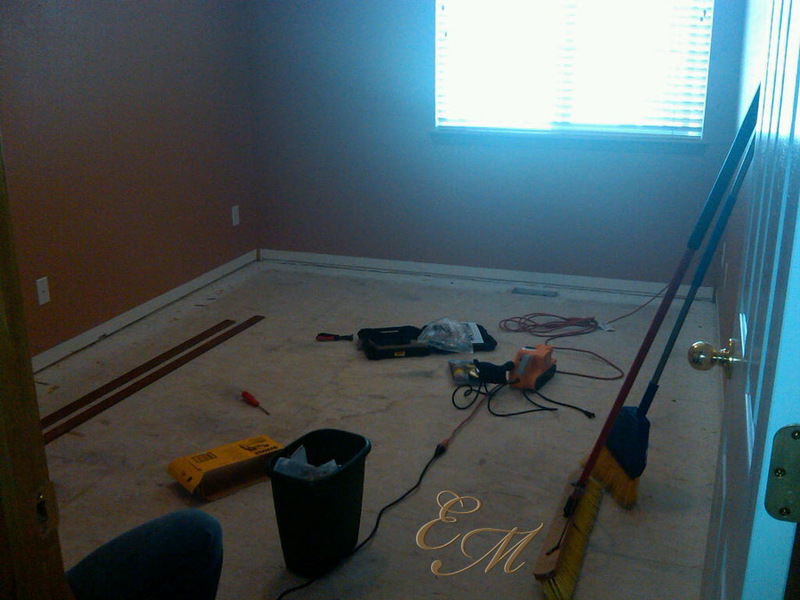 I’m thrilled to have beautiful wood and tile floors instead of old dirty carpet and linoleum.I just need to vent. Whine. Complain. More than I should sometimes. vent on, sister! IT IS LOOKING SO AWESOME! 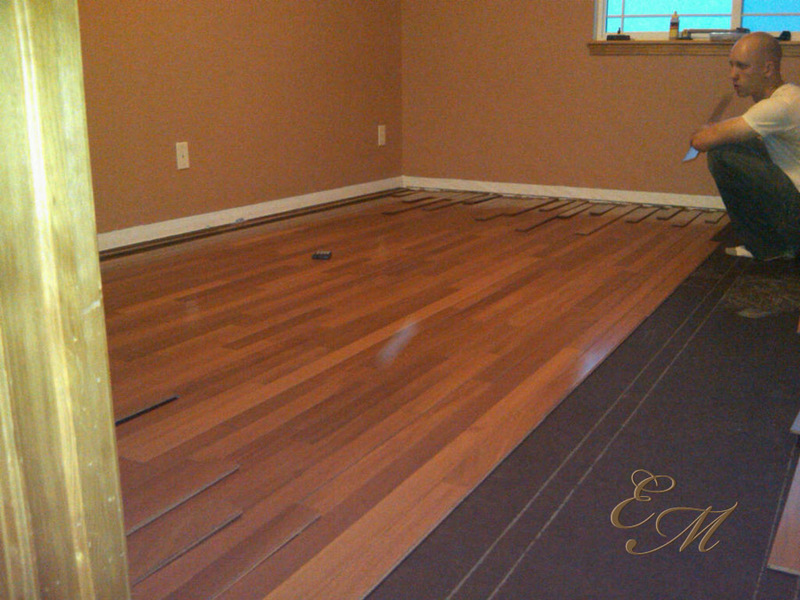 our home has wood laminate and i am quite jealous of the look of your REAL wood floors! btw, i am wanting to tile my bathrooms. do you know if i can do that right over the current vinyl? i know google could tell me… but instead i am going to ask Evolving Mommy. Just b’cause. Keep calm. Bake. Relax. Treadmill. Wood Floors?! awesome. I hate major home projects. They almost always make me want to cry. However, when they are done? Awesome! The floors look great so far. I know it is a pain to get through it but it will look so good once it is done. Are you guys planning to stay in the house for a few more years now? I have tile and pergo floors and ulasluy I just use really warm water, or the swiffer wet jet/wipes and sometimes Pine Sol. Anything to get the freshness smell in the house. I love them both, as they’re easy to clean and they look very nice!! That’s so exciting that you’re moving in to your new home. Fun!